The P-2 is our flagship. In it we have reproduced the “cockpit” of the original tonewheel organ down to the smallest of its details. Everything the player touches and sees feels exactly like what we are all used to have at our finger tips. The few intuitive additional controls are installed on the left end-blocks where the controls of the aftermarket most common mods used to be placed. Available also in a traditional replica cabinet with integral or removable legs! Really enjoying my Mag C2 dual manual organ. Compact and light but got all I controls I need for the perfect portable tonewheel organ sound. My one has a Mini-Vent leslie effect built into it, as well as an 11-pin Leslie output, as well as the HX3's leslie sim. 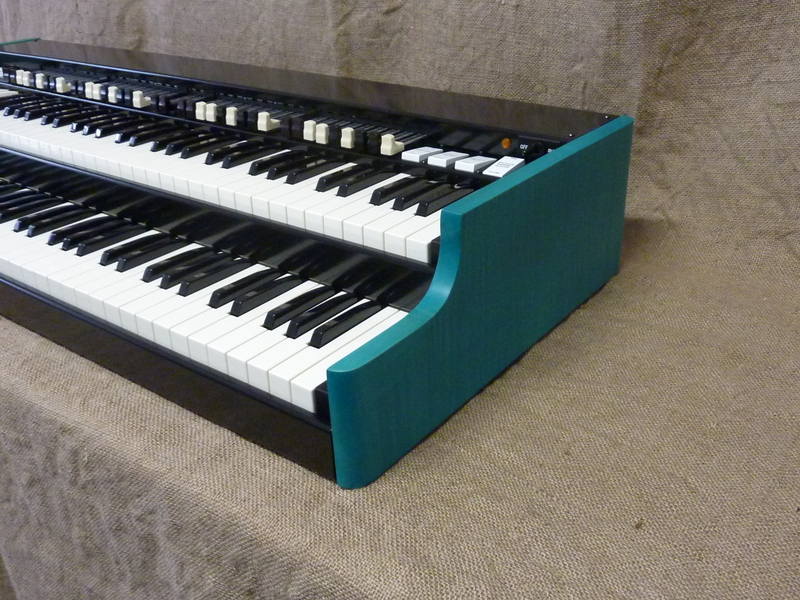 It's even got a mono organ output jack socket (without any leslie sim). All adds up to a VERY versatile instrument. Build quality is superb AND it looks COOL !. Kudos to Max – he’s built an incredible product in the Mag P-2. 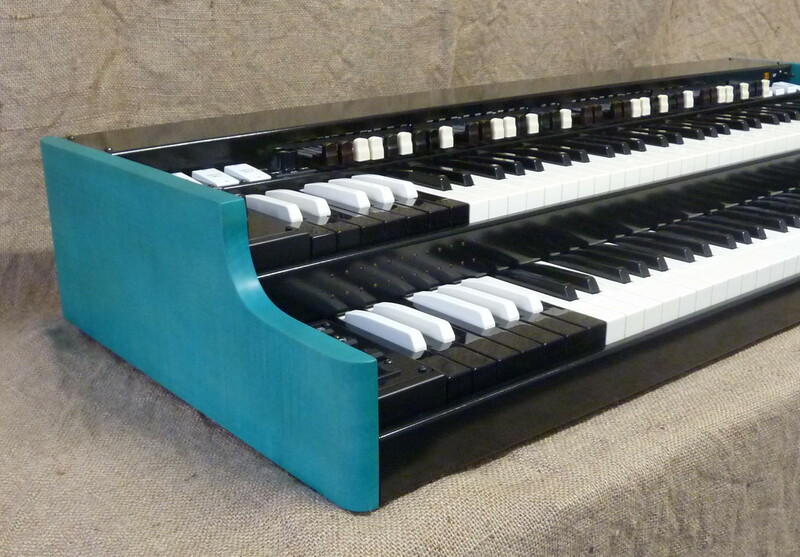 The P-2, as well as other Mag Organs, showcases Max’s impeccable build quality and attention to detail down to the “bolts” adjacent to the rocker tabs (which on a console, hold the manuals together) and real metal drawbars with the scale and subtle ratchet feel found on original Hammond A100/B3/C3 series consoles. 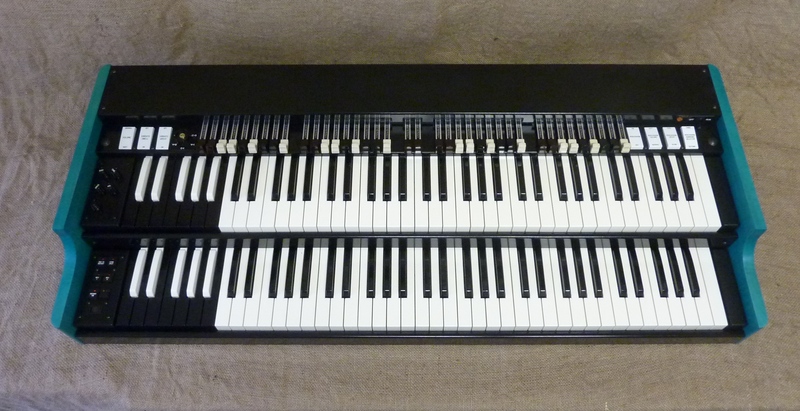 Running the HX3 sound engine, the organ may also be customized to suit your needs. I opted for custom curly maple side panels, built in Mini-Vent and a multi pin Leslie connector. Very well done, Max !! !